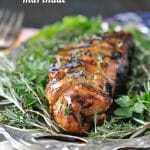 A simple and flavorful meal made with cider glazed chicken and delicious fresh herbs. 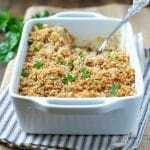 Serve with creamy mash or roast potatoes for a filling meal the whole family will love! 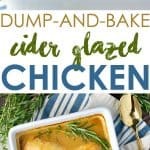 Made with wholesome ingredients, this Dump and Bake Cider Glazed Chicken is an easy 30-minute meal for those nights when you just don’t feel like cooking! 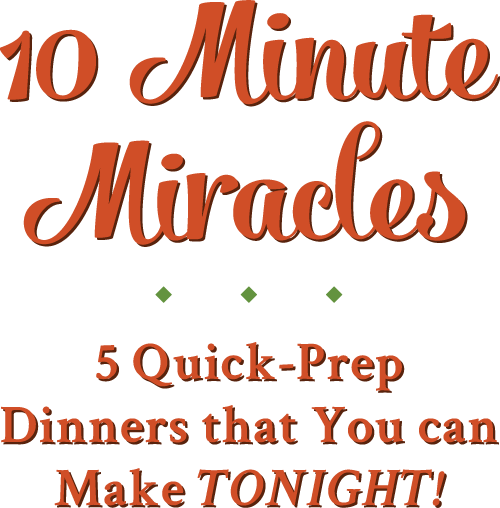 There’s no prep work necessary for a healthy dinner! This is a sponsored post written by me on behalf of Martin’s Food Markets. All opinions are 100% mine. Just because a meal is simple and quick does not mean that I need to sacrifice nutrition. After all, if I’m raising three active little boys I need a lot of delicious and healthy meals up my sleeve. 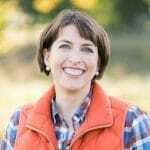 That’s why I love shopping at Martin’s — I can beeline my way to the Nature’s Promise® line of products that I know I can trust…at an affordable price! The Nature’s Promise® “Free from” food products are just that — free from nonessentials such as artificial colors, artificial flavors, and artificial preservatives. This means that I can feel good about making them a part of our meals knowing that I’m giving my family the best. For this particular meal I used a package of Nature’s Promise® “Free from” boneless skinless chicken breasts that were individually portioned and wrapped. These are a nice petite 4-ounce size and the package is just the right amount to serve our family. 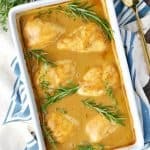 The small chicken breasts help with portion control and they also decrease the cooking time, which is great for fast weeknight meals. If you’re cooking for just one or two, you can open as much chicken as you need and pop the rest of the individually-wrapped pieces in the freezer for another date. No waste, which is an added bonus! I also picked up a bottle of Nature’s Promise® Organic Spicy Brown Mustard, which gives the pan sauce a perfect “zip” to balance the sweetness of the cider and maple syrup. I appreciate that I can conveniently grab these affordable and healthy choices while shopping at Martin’s, knowing that I’m not sacrificing quality for convenience. 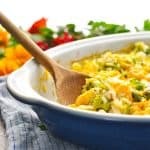 Simple dump-and-bake (or “One Dish”) meals like this are nice because they don’t require extra time for prep and there aren’t many dishes to wash at the end of the day! It’s “fast food” done RIGHT, and it’s a cozy, comfort food supper that I can feel good about serving. Add some steamed veggies (microwave is fine) and a crusty loaf of whole grain bread from the Martin’s bakery and you’ve got healthy cider glazed chicken on the table in about 30 minutes. Can’t beat that! If you use larger chicken breasts extend the cooking time to 30-40 minutes and check the temperature if unsure. Preheat oven to 425F (220C). Spray a large baking dish (I used a deep 11 x 7-inch dish) with cooking spray. In a large measuring cup or directly in the dish, whisk together cider, mustard, maple syrup, vinegar, and oil until completely combined. Sprinkle chicken with a little bit of salt and pepper, to taste. Place chicken in the dish with the sauce and toss to make sure that each piece of chicken is well coated. Place sprigs of fresh herbs in the dish (tucked alongside the chicken). 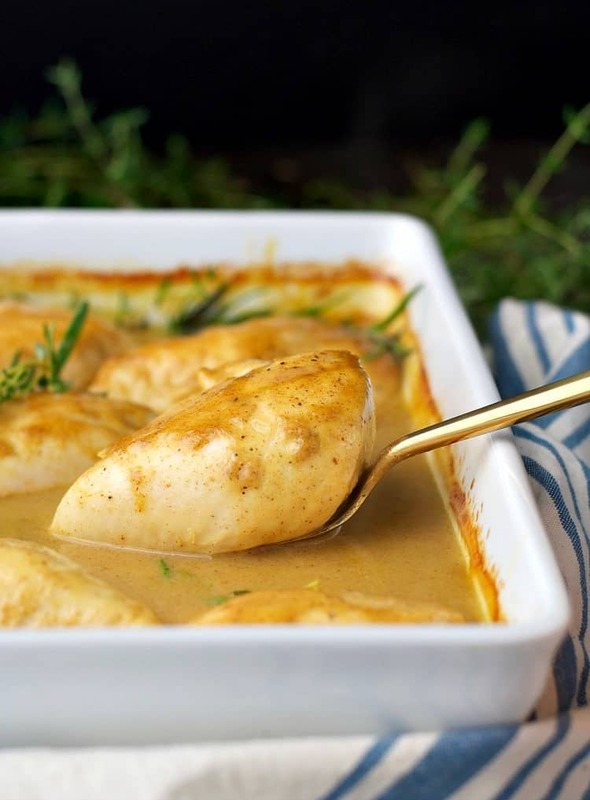 Bake uncovered for 25-30 minutes, or until meat thermometer reads 165 degrees F. If you’re using larger chicken breasts you will need to extend the cooking time to 30-40 minutes. 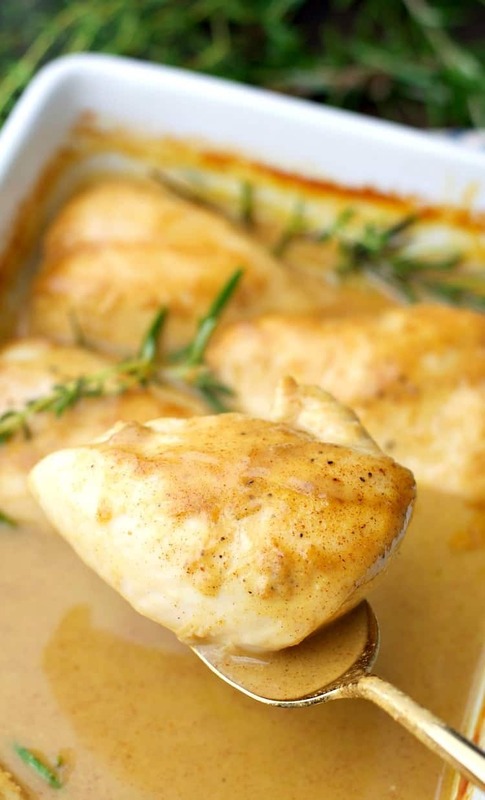 Be sure to spoon plenty of the delicious sauce over the chicken before serving! Shopping at Martin’s too? 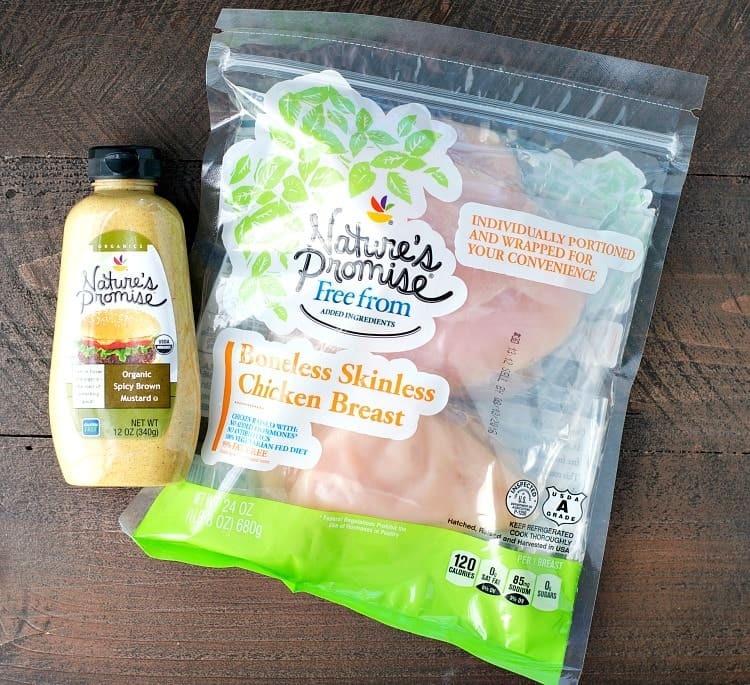 You can Load Offers for Nature’s Promise Products To Your Martin’s Card Here! Using mobile? Click here to load offers! I am definitely looking forward to fall too! 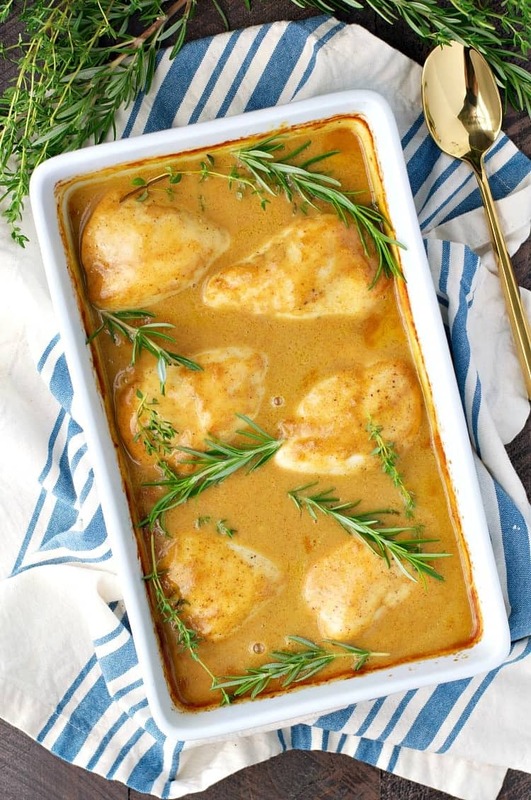 This cider chicken looks amazing, Blair! I love the pretty color and flavor. Perfect for busy nights! Thanks, Gayle! Hope you had a great weekend! This is getting some serious pin love from me. I cannot WAIT to make it when the temps cool down. I can’t believe your boys are going back to school so soon! Gaaaaah summer flew by. 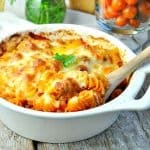 But comfort meals like this make me so excited for fall! I never would have thought of adding cider to a chicken dish like this but it sounds INCREDIBLE! We can’t get enough of baked dishes at the moment as it’s so cold! What a painfully advertising filled post. I honestly feel I can’t trust the recipe. There’s way too much pushing by that brand. Same to you, buy whatever chicken brand you want and mustard. Look at the recipe not whose product is used to make it. Try to get over it and maybe make the recipe. unless you live where she does, you’ll never get that brand so what’s the big deal. Get whatever brand chicken you want and the same for the spicy mustard. It’s the recipe you should be looking at, not whose product is used. Get a life! Made this for dinner last night – delicious! Didn’t have fresh herbs so sprinkled on dry thyme and rosemary with the salt and pepper. Thickened the sauce with about 3 Tbs arrowroot. I think this would also be great with pork chops (or roast?) and might try adding sliced apples or pears the next time I make this, which I definitely plan to do. Thanks for a wonderful recipe! Hooray! So glad that you enjoyed it, Michelle! Thanks for letting me know! Your changes and suggestions sound perfect!